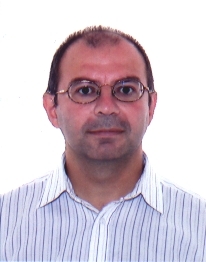 Dr. Francisco Torrens is Associate Professor in Theoretical chemistry Research Unit at the Universitat de València. After obtaining a PhD in molecular associations in azines and macrocycles from the Universitat de València, Dr. Torrens undertook postdoctoral research with Professor Rivail at the Université de Nancy I. More recently, Dr. Torrens has collaborated on projects with Professor Tomás-Vert. Major research projects include characterization of the electronic structure of electrically conductive organic materials, theoretical study of new electrically conductive organic materials, protein modelling, electronic correlation, development and applications of high-precision mono and multi-referential electronic correlation methods, development and application of high-precision quantum methods, methodological developments and applications of quantum methods, molecular modelling and chemistry-computer applications for the description and prediction of molecular properties, development and integration of a computational system for the discovery of active drugs against AIDS, cancer pandemics and other microbial diseases of high social impact, starting an electronic journal of scientific-technological and gender spreading, computational design, chemical obtaining and biological evaluation of new antiprotozoal and anticancer drugs, prediction of the environmental impact of chemical substances using chemobioinformatics tools, discovery of new inhibitors of tyrosinase: computational design, synthesis, characterization and experimental corroboration, search for new antimicrobial agents that inhibit the synthesis of the bacterial cell wall and minimal active domains of proteins of the Bcl-2 family. His scientific accomplishments include the first implementation in a computer at the Universitat de València of a program for the elucidation of crystallographic structures, and the construction of the first computational-chemistry program adapted to a vector-facility supercomputer in a Spanish university.